Gartner Hype Cycle – New Technologies – Fad or the real thing? This week, I had the pleasure to attend the GestureSEN PLC – (more info here) where discussions were based upon how we use video evidence in purposeful way to aid our reflections of progress made by students operating at the P-levels. My write up from the day will come soon but it was during Andrew Walker’s (@andtomac) excellent presentation that the Gartner Hype Cycle was presented. 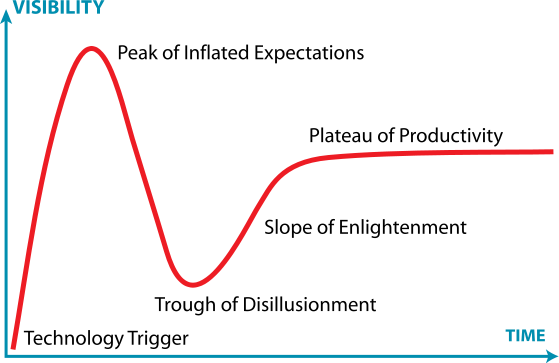 The graph shows the cycle that all technology goes through from the moment the idea is conceived to mainstream adoption. This was the first time I had seen this graph and as someone who is interested in the use of technology in education, this got me thinking about the education technology we use in the classroom and where different technologies would sit on the graph. Would we say tablet computers are moving towards the Plauteau of Productivity? Virtual reality in education is certainly an area which I believe has reach the Peak of Inflated Expectations and is possibly about to hit the trough. Some technologies will never get pass the Trough of Disillusionment and will disappear into obscurity. .
For SEN, where would Eyegaze technology sit? Leap-motion? KInect? Switches? Everyone will have their own opinions on where technologies would sit on the graph depending on their experiences. Being presented with this graph has allowed me to reflect on the implementation of technology in the class and the importance to evaluate the technology thoroughly to ensure impact on teaching and learning. This Friday I was lucky enough to attend the BETT Show up at Excel alongside my colleague @open_sen. This was the second time I had attended the show and after visiting, there was not much new compared to last year, mainly companies showcasing improvements on existing products. I did however attend a couple of excellent seminars and the Teachmeet in the evening was fantastic with such enthusiasm in the room from a wide variety of educational professionals. Hats off to the organisers, @digitalmaverick, @dannynic, @skinnyboyevans and many many others who pulled off an evening full of inspirational presentations. Firstly the move to Excel, I thought was a positive one and the venue is excellent in terms of the facilities on offer. Yes I did get lost a few times as everything was on the same level, but I found meeting up with colleagues was far easier as the central boulevard was great for this. 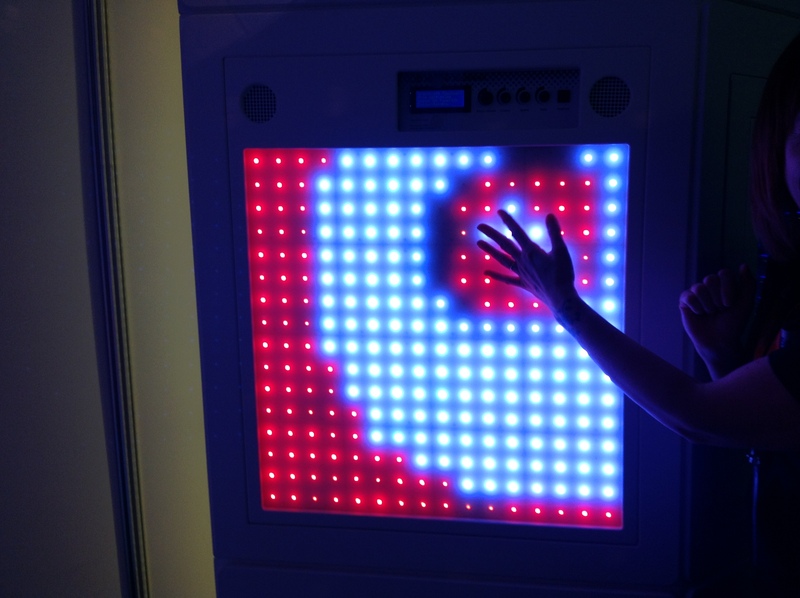 Kinems – I attended a seminar on the use learning games for SEN through the use of the Microsoft Kinect. Those who read my blog will know that I am heavily involved in the use of the Kinect in promoting movement and engagement with SEN learners. Kinems is a company from Greece, who have created a range of learning games designed for SEN. These look to target skills such as hand eye coordination, short term memory, sequencing, problem solving and taking directions. Within these games, the team have included analytics to allow teachers to analyse students performance to assess and track their progress. Tobii EyeGaze systems – I have been aware of eyegaze sytems for a while now and it was great to talk to @hminto about the systems and what they could offer to our students. What was good to see was that Tobii have thought about the learning curve involved in the system and this clearly showed a progression route for students using the system working from simple cause and effect to using the EyeGaze for communication. It was great to try the product out and I am looking forward to having a more in depth look at the Kinect PLC this week. 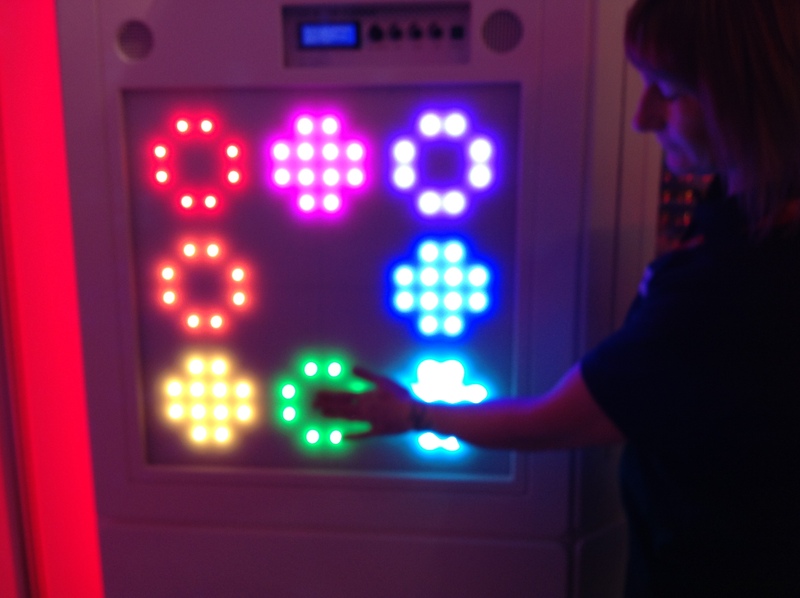 Spacekraft Touch Musical Wall – Spacekraft are a company who produce multisensory equipment for sensory rooms and I was drawn to their stand by their new Touch Musical Wall they had on display. The slightest of touches will illuminate the panel accompanied by an auditory reward. The wall has 9 different settings and I thought this would make a great addition to a sensory area. @mberry – HTML presentations – This talk looked into getting immersed in coding and started with looking at the excellent Hackasaurus site that allows the user to view the code and hack any website. He then talk about using impress.js which is a presentation tool based on CSS3. This allows users to create a presentation using code allows for some impressive transitions. @bevevans22 – Using publisher to create clip art – Bev showed how easy it is to create clip art in Microsoft Publisher. Rather than explaining myself, Bev has produced a video explaining this. Clip Art Faces TMBETT2013 from Bev Evans on Vimeo. @katerussell – Powtoon – TMBETT had the honour of Kate Russell from BBC Click co-comparing and she shared with us this excellent animated presentation tool that is free to use. Worth checking out. @mrlockyer,@mrwaldram – @BATTTUK – it would not be right without mentioning the excellent duo of Stephan Lockyer and Ben Waldram who were presenting on a new concept that is Bring a Teacher To Twitter. The message was clear, Find a Teacher, Introduce Them to Twitter, Guide them, Let Them Loose!!!! Overall, a thoroughly enjoyable day and evening, which I found inspirational and took away some great ideas to be used for the future!!!!!! Android and Microsoft Tablets – I confess that I am somewhat of an Apple fan and the iPad has certainly had an impact on learning of students with SEN if used correctly. However, I am also excited about the other tablets available especially the Google Nexus 7. For me personally, the specification of the tablet and the price are certainly appealing. In addition, being able to code and get applications onto the the tablets using Processing is another selling point and something that I hope to explore later this year. I feel we have started to see a different Apple over the last few months and though they will continue to produce fantastic pieces of hardware, Google and Microsoft are certainly weighing in there with alternatives. Develop my own coding – since the summer I have been learning to code in Processing and have managed to code a couple of applications myself. This year I want to develop this further and start looking at other languages and platforms such as OpenFrameworks and Ruby Processing. The release of the Leap Motion – another piece of technology that allows the user to control computers using gesture based movement. This is similar to the Kinect, but tracks just hand and finger movement. Finishing our interactive floor and wall display for our sensory room – this is something we began working on in the Autumn term and hope to complete this term. We are looking at a cost-effective solution using the kinect and webcams to provide interactive displays for students to use. Many SEN technologies companies charged thousands of pounds for this, where as the aim of the project is to keep costs to a minimum and I am happy to say we are on track with this. Developing in my role of Head of Year – I have really enjoyed the challenge of being Head of Year this term. The role throws up many different challenges and I have been fortunate enough to have a fantastic team to work with. At the beginning of the term, I certainly felt out of my comfort zone, but I have really enjoyed the pastoral side of the role and have really noticed a difference with the year group at the end of Christmas which credit should go to the whole of the Year 11 team. Lastly to continue to use Twitter to share and engage with like minded individuals. It certainly has helped me in a number of ways and given me opportunities that might not have occurred if i had not spent the time to interact and collaborate with many other professionals on the social network. This list is not exhaustive and as usual it very difficult to predict what will occur over the next 12 months. I certainly would not have predicted to be where I am now 12 months ago. Since learning to code, I have explained to colleagues that if they have any ideas or needs for specific apps to come to talk myself or my colleague Keith Manville (@open_sen) and we would look at how we could design a application which would meet their needs. This happened to Keith a few weeks ago and I don’t want to say too much as he has already written about the process of designing the app on his excellent blog which you can find here. 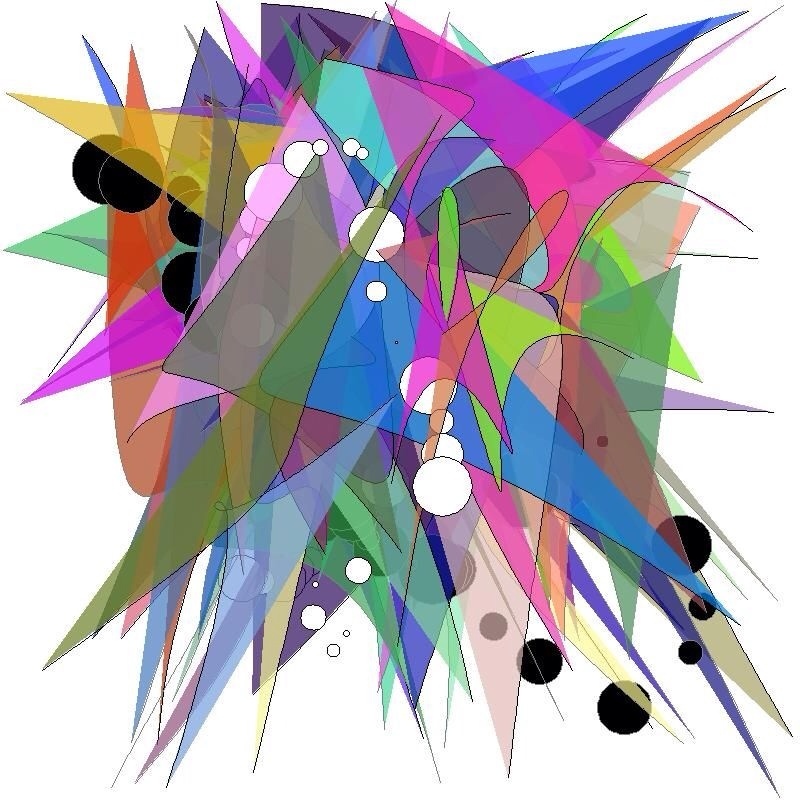 What he has created is a simple visual and audio app that will draw bezier curves and ellipses depending on where the mouse is positioned on the screen. In addition it will play notes from the midi synthesiser using the soundcipher library created by Andrew R Brown. The outcome is a simple cause and effect app that not only stimulates the user visually but also through sound. The app can also be used on a touchscreen which increases the accessibility for some students. In the short time in testing this app out with students, I have found that different students react differently to it. Some are more interested in the visual shapes that are produced whilst others are motivated by the audio coming from the app when touching the screen. In addition to this, I have adapted the code slightly so that switch users can access the app. Instead of the shapes being drawn depending where the mouse x and y axis are, the shapes are drawn randomly. Again I have found similar results with students being engaged and stimulated by the visuals and sounds being produced. Part of our ongoing project is to produce applications for students with special educational needs, we have wanted to make the applications easy to share with others. We have set up a wiki: http://processingsen.wikispaces.com/ and if you click on the applications page you will start to find some of the applications that we have coded to download and try with your students, Both Keith and myself would greatly appreciated any feedback and comments regarding the applications as this will help improve them and further applications for the future. N.B – If you are interested in seeing the work we are doing with the Kinect in the classroom please visit the PLC page at http://kinectsen.wikispaces.com.